Ever wonder what the most popular vehicle in each state is? Well, wonder no more. Experian Automotive looked at the sales figures of vehicles during a six-month period and compiled all the statistics based on each state of the union. The findings were not surprising, as pickup trucks dominated the Midwest and more fuel-efficient mid-sized sedans ruled the commuter states of the Northeast. It should be no surprise that safe, reliable sedans made a pretty good showing on the list of popular cars, and it's indicative of the current culture that they would have their best sales in the Northeast. The most popular choice seems to be the Toyota Camry, which reigned supreme in Maryland, Rhode Island, along with several southern states along the Eastern Seaboard. It didn't completely dominate the competition, however, as the Honda Accord proved to be the most popular brand of new and used cars in New Jersey. Part of the reason for this particularly strong showing of mid-sized sedans is fuel economy. States like Maryland and New Jersey have a significantly high rate of people with long commutes, so it would make sense that these people value excellent gas mileage. This is why the most popular cars in these states are regularly cars like the Camry, Accord, and the Honda Civic. It's not just the Northeast, either. 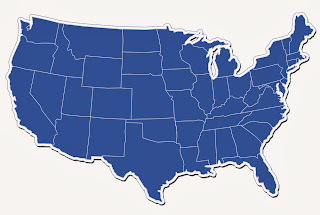 California and Oregon also kept up with the trend, as well as Georgia, Florida, and North Carolina. In states where long commutes were uncommon, the prevailing value of a vehicle seemed to be placed in its ability to haul and tow. The Ford F-150 was arguably the most popular vehicle across the states, coming in at the top spot in 22 states. States like North Dakota and Wyoming call on the Ford truck to do their heavy lifting. The F-150 has not only been the country's best-selling truck for the past 34 years; it's America's best-selling vehicle for the past 29 years. Recent advancements to the model have made it an even more practical vehicle for day-to-day driving, too. Peppered within the results among the trucks and mid-sized sedans are a few states that chose the increasingly popular crossover vehicle as their automobile of choice. The most common choice of these was the Honda CR-V, claiming the top spot in Connecticut, Washington D.C., and Massachusetts. The trendy class of vehicles has been steadily rising for a number of years and part of the reason is its practicality. More fuel efficient than a pickup and larger than a sedan, crossovers are just about the best of both worlds. The family market, which used to be dominated by minivans, has now been taken over by these family vehicles with their sleeker designs. Now, being practical doesn't need to look so dorky. We may not be living in the times of the Jetsons yet, but in 2015 you may be able to walk into a Toyota dealer in NJ or any other state and purchase a hydrogen fueled car. In January 2014, the Japanese automaker will show off its first and only hydrogen car at the auto show in Las Vegas. Green car aficionados did not think this type of technology was going to be a reality for decades to come, but Toyota, the leader in hybrids, has found a way to make it happen. Read on to learn about this new form of fuel. What's Special about Hydrogen Fuel? It's easiest to compare hydrogen cars to electric ones that use batteries to store energy. Although they are similar, hydrogen cars are superior because they weigh so much less. A battery weighs nearly one thousand pounds, so electric cars require a lot of energy to just move the battery. Further, electric cars lose power when they are not in use and require an outlet and time to charge. Hydrogen cars, on the other hand, doesn't lose energy and can be refueled in minutes. Electric cars have been very hard to sell because of all these roadblocks plus their hefty price tags. Toyota hasn't officially come up with a list price yet, and though, initially, the hydrogen car may be somewhat expensive, the company is hoping that sufficient interest will enable them to invest in more affordable models. Toyota proves to be the most environmentally friendly automaker with the release of this new car. Hydrogen fuel is the cleanest for Mother Earth because it doesn't produce any pollutants -- only water. Other cars give off smog, carbon monoxide, and/or carbon dioxide, which are incredibly harmful to the ozone. Some car manufacturers brag that electric cars are green; however, they are only green when the electricity that is used to charge the car comes from wind or solar power. Hydrogen fuel powered cars will be the clear-cut best choice for those that are looking for a sustainable car option. There's still time for another automaker to discover this new technology since Toyota will not be releasing until 2015, though there is very little chance that they would have a viable model by then. Everyone is curious to see what the car will look like and what kind of efficiency stats it will boast. 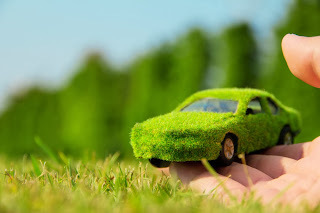 One thing is for sure -- come 2015, Toyota dealers will be gearing up to show off the latest and greatest sustainable car.